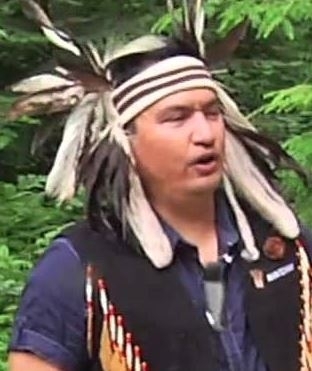 The Straits Salish, a division of the Coast Salish, are a Native American people who reside in Washington state and Canada. Their tribes include the Semiahmoo, Lummi, Sooke, Songish, Saanich, and the Samish. Historically, they occupied the tip of Vancouver Island, across the Gulf and San Juan Islands to the coastal fringes of northwest Washington and southwestern British Columbia. They are distinguished from their neighbors on the basis of language and their most important subsistence activity – reef–net fishing for the yearly runs of salmon. These tribes spoke slightly differing dialects of the same Coast Salish language. Today, very few elders speak one of the tribal dialects. The majority speak English. Moreover, they are distinct by their annual round of subsistence activity based on the yearly runs of salmon; the most important of which was the sockeye run to the Fraser River. They adhere either to traditional ethnic religion, belong to the Shaker Indian Church, or are evangelical Christian. Pray other evangelical Native American people in their area will boldly share Christian with unreached Straits Salish people. Pray God will call out evangelical Straits Salish people to share Christ via words and deeds with their own people and other unreached Native American people in the area. Pray God will strengthen and equip Straits Salish Christians in their understanding of and explaining the message of God's Word.